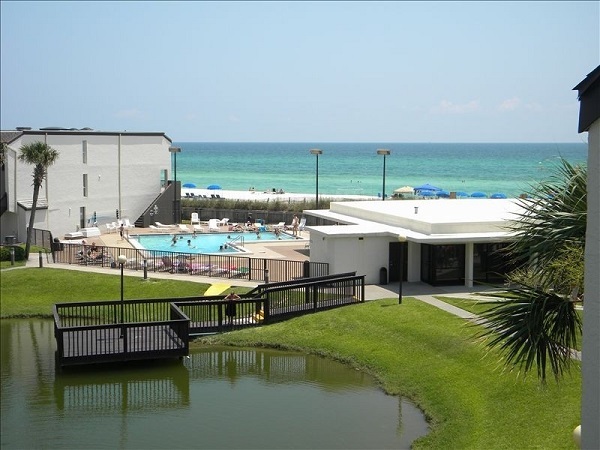 Pool is still closed due to Hurricane Michael our unit is in great shape there just not a pool available.Expecting pool repaired by May 15th. Will update as information becomes available. Sugar Beach is one of the areas exclusive family-oriented beach side complex on the world famous Thomas Drive. No long lines waiting for elevators, walk right up to your front door, just minutes from parking to getting settled in for your stay. On-site there is a freshwater lake which provides a unique opportunity to see wildlife. 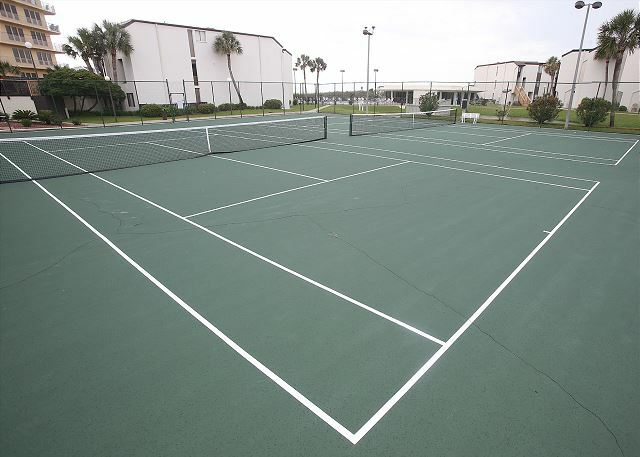 Also there are two well-maintained lighted tennis courts, shuffleboard, basketball and grilling area along with the large beach side pool. The huge clubhouse has a large oceanfront sundeck to relax, sunbathe and enjoy the ocean view where you may watch a few dolphins swimming by. The clubhouse is filled with a Ping-Pong table, 2 pool tables and many arcade games for young guests. The grounds have large grassy areas and walk ways which provide a nice change from the typical concrete and steel development. 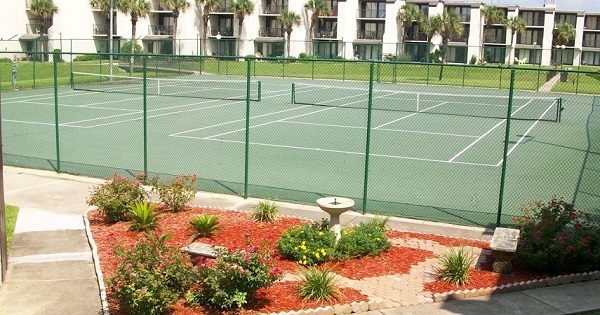 This unit is very convenient park directly in front of you unit and be on the beach before most of the high-rise guest can get on their elevator. The master bedroom features a king-size bed with bathroom access and 2nd bedroom with 2 queen-sized beds. This condo features a fully-equipped kitchen, a spacious living area with a queen size sleeper sofa, and a dining area. Linens are provided but bring your own beach towels, suntan lotion and a good book. 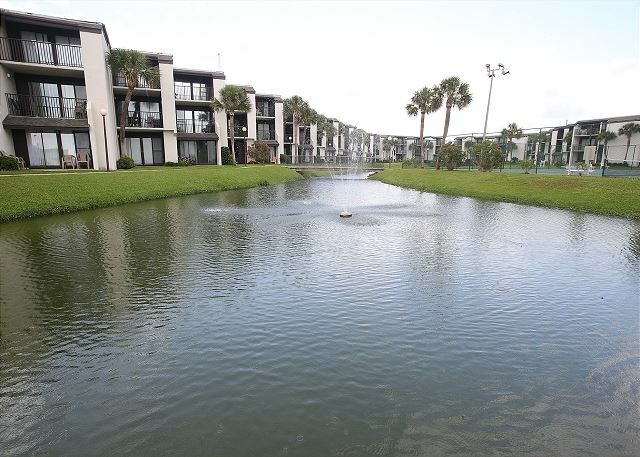 This unit is very spacious and open, tastefully decorated, well-furnished and maintained. A $20 registration fee is required to be paid at Sugar Beach and will not be added into the cost of the reservation. We had a great stay at Sugar Beach C14. The condo was clean and well stocked. The location was close to many activities. The view from the balcony was beautiful. Four Star Condo Services was great to work with. We are already looking forward to our next stay at Sugar Beach C14. This condo was clean, crisp and inviting. They have made so many updates not featured in the pictures. New living room furniture, new kitchen cabinets and granite countertops. The rooms were a great size. The condo had everything we needed for our week in PCB. You can see the ocean from the 2nd floor balcony. We sipped our coffee while enjoying the ocean sounds on the balcony. New balcony chairs were brought to us the first morning we were there. Sugar Beach might be an older complex, but it is lower key and not as crowded as some of the high rises. 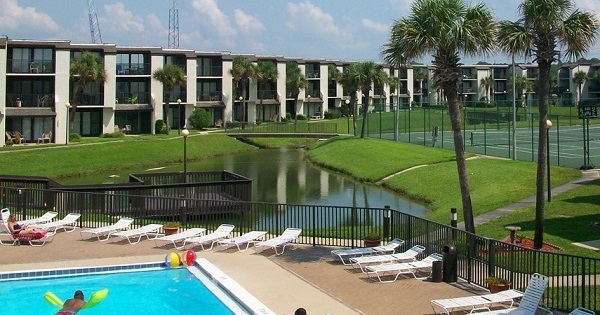 The pool is large and the clubhouse is really roomy with a huge television and ping pong table. Our family loved not having to have a key to open the condo door, but the use of a key pad for entry. 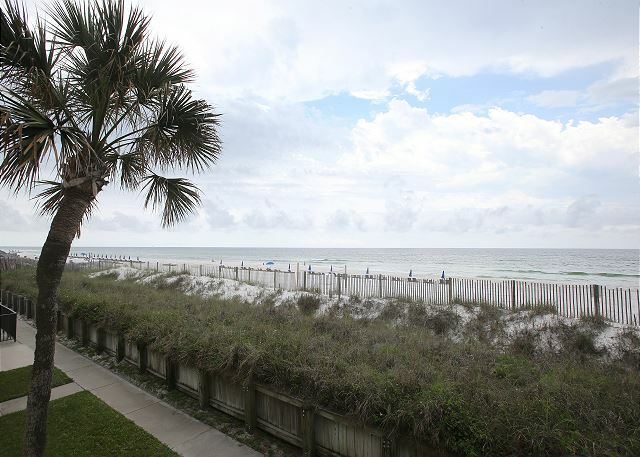 We enjoy staying on Thomas Drive while in PCB since it is not as busy. There are wonderful restaurants near by and many fun attractions for the kids, within walking distance, you don't have to go far to enjoy. We had a wonderful experience with Four Star Condos and would do business with them again. We will definitely be back! Perfect little place right on the beach. The staff was nice. The condo was very clean and supplies you with everything you will need. I liked that it was close to everything. I would recommend this place and will be staying again. Great time. Plenty of room for the guests. Short walk from the condo to the beach. Even though the Condos were older I was very pleased. Clean and a great location. This was very family oriented! Thank you!! Overall, this Condo is just what we could have hoped for. Plenty of room for the 2 of us that stayed there, and a great spot as it overlooks the beach from the balcony. Not all Condos on the property have that same Beach view. Some slight repairs needed as there were a couple of outlets that pulled out from the wall when I tried to unplug my charger, but other than that, the condo was great for our stay. As far as location concerns go, it is within walking distance of many clubs, restaurants, and other places one might want to go on their stay. However, the property had the only gates along the main Beach road closed off. So if one wanted to walk from the condo to any of the entertainment places just a few doors down, a person would have to walk an extra distance to get around the property. In My opinion, after a long day of walking the beach and enjoying the festivities of the area with a few drinks with friends, a shorter walk would have been appreciated. A simple man gate along the Beach road would make a huge difference. With that being said, thats really the only inconvenience experience on the trip. I would recommend this place to anyone looking for a nice condo for a short stay. 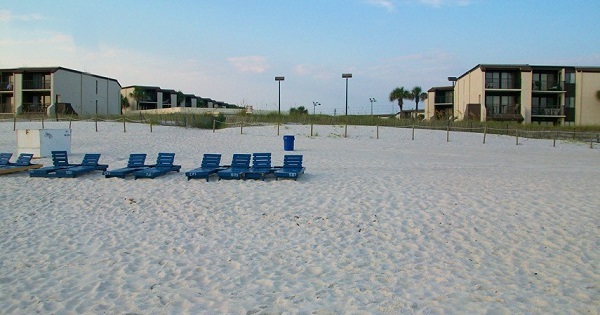 Very nice unit right on the beach. Clean, modern touches, and nicely decorated. Really enjoyed our stay. Our only criticism was that it wasn't stocked with a lot of little convenience things we needed (ex: salt, coffee filters, dishwashing liquid, not a single writing utensil, etc.). Nothing important -- just little things that could have saved us trips to the store. But overall, a very nice place. It was a very nice location. Plenty of Parking right outside the condo. 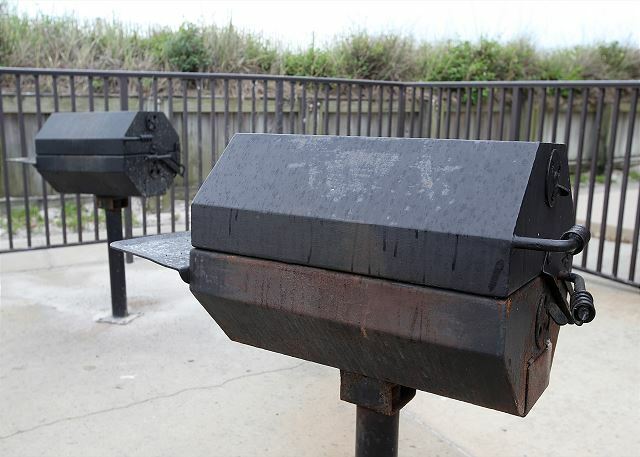 Had a nice grill area that was close by, and beach access was close too. The room was nice, but is about 10-15 years behind on updates compared to others, but in saying that, the cost of the rental reflected that. Was just looking for a place to stay again this year, and was really looking at it again since it's a bargain. We just needed a bit more space since another couple was coming along this year. 2 things it needs, curtains need washed, and sliding door handle fixed and the floor swept a bit better. It was nice that you could set up on the beach and see your stuff off the balcony. I have been going to Sugar Beach for around 20 yrs or more. 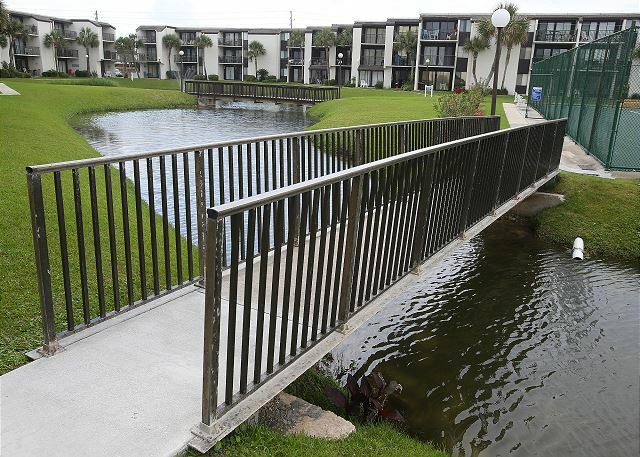 This condo was nice but could have used some minor improvements, we did have to call maintenance during our stay for a couple things but all things were taken care of within 2 days. While the picture looks outdated it was up to date. The AC was a little tricky to keep a nice even temp in the whole unit. Master Bedroom needs a new vent because it got the hottest while the other bedroom & living room was cool. It also seemed sticky feeling in the room. Beds were great! Bathrooms & kitchen were updated! 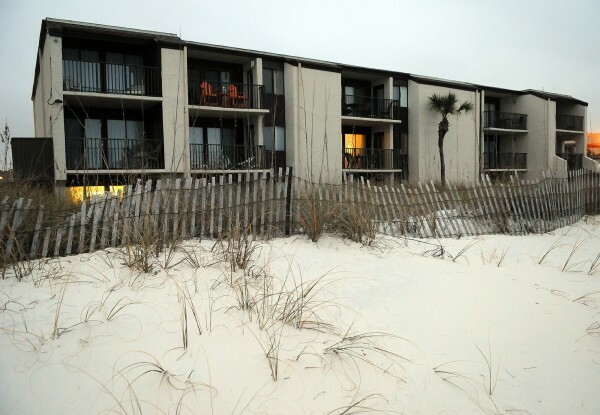 Overall not a bad unit to stay in that faces the beach- Great location. Great stay at sugar beach. The condo is just as described. We were pleasantly suprised. The AC wasn't super cold but comfortable enough. The condo was clean and appears to remodeled recently. We enjoyed the condo very much and loved the upgrades made from the last time we stayed a couple of years ago. Love dealing with Four Star Condo as well. We were very impressed with the condo. First,the unit was so clean.Second,this condo has had a lot of upgrades,it is very up to date.The second floor beach location is perfect to watch the ocean.I have told my kids about this unit and they are looking in to it for this summer.Would love to stay again. The Condo and Community were wonderful. The view from the patio was beautiful and the community had activities to keep the kids busy throughout the day. The gate to the beach was a pleasant surprise to keep traffic down in and out of the community! Just like last year, we had a great rental experience. Even better, the room we stayed in was recently remodeled. The condo was very nice inside and the kitchen was well equipped.The Wi-Fi worked very well. The condo has been updated throughout. 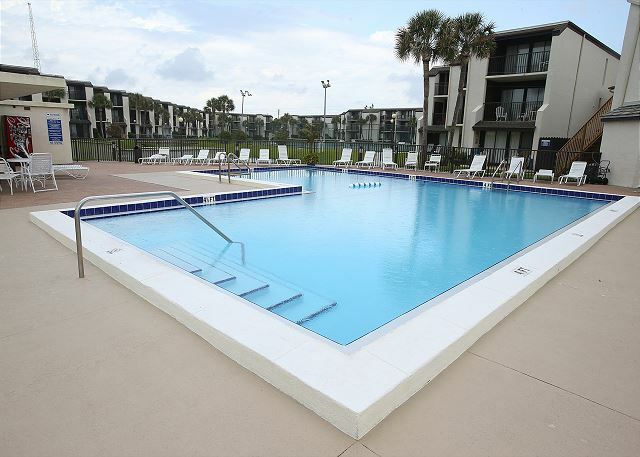 It is only seconds from the pool and beach. The only small issue was the long door code to put in to enter every time to open the door. We would definitely go back to this location again. We had one small issue with the fridge when we checked in and the property management returned our call in minutes. We love this condo. This is our 4th time renting this condo. The location is perfect with easy access to everything you need. Parking and access is so excellent. No need to wait on elevators and circle parking garages.